What is limiting your progress in life – your family, your friends, your work? Your past failures? Your own self-doubt? Your lack of faith that God is with you? 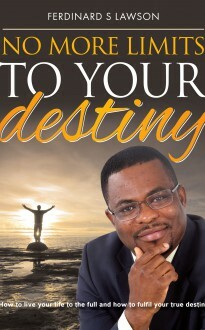 No More Limits to Your Destiny has been written to show you how to live your life to the full, how to fulfil your true destiny regardless of what is happening around you. You can do it! Almighty God created each and every one of us to have power over our own lives, not to do just what others expect. Renew your thinking, your attitudes, your faith, your relationships with those around you and there will be No More Limits To Your Destiny.